Tag Pilot extends a pilot's professional drone operation capabilities by providing a previously unavailable coupling of locations on a map with what the camera is seeing. NOTE: The following screenshots are of the beta release versions and will likely have small aesthetic differences between them and the released version. Tag Pilot is a mobile app used to control DJI drones that gives the pilot knowledge of the surrounding terrain and allows them to navigate it safely while keeping track of tagged points of interest through both the map and camera interface. Uses Augmented Reality to show tags for map features superimposed on the live video feed. Creates map tags for items that are tapped in the live video feed. Automated Thermal Tagging for hot spots of a designated temperature range and size. Image Footprint display shows where on the map the camera is currently looking. Camera center point coordinate readout for precise object location. Automated Flight Modes: Orbit, Above Ground Level (AGL) Lock, Direct Flight. In-App image and video review for quickly verifying and downloading your media in the field. Import and Export locations to and from Google Earth and other applications with KML files. In-App reviewable flight logs and easy KML exporting with AirDrop and email.  Detailed CSV log files that are compatible with Healthy Drones and other services. Easy video and photo creation using the remote's built-in buttons.  The proven offline elevation processing engine behind our industry leading Terrain Awareness feature from Map Pilot has been repurposed within Tag Pilot to provide the pilot-in-change with unparalleled situational awareness. Unless a flight over absolutely flat ground, there was previously no way to know how far off the ground the aircraft actually is. Tag Pilot displays altitude in ATL (Above Takeoff Level) which is how the DJI Go app displays altitude and AGL (Above Ground Level) which takes the terrain under the aircraft into account. Knowing how far the aircraft is from the ground is important for both legal and safety reasons. Tag Pilot helps to keep you legal and helps to keep you safe. One of Tag Pilot's automated flight modes is call AGL Lock. AGL Lock allows the pilot to ascend to a designated altitude and press the lock button which will let Tag Pilot be in control of all vertical motion so the pilot can concentrate on navigation without having to worry about changes in terrain. By using the aircraft's position and gimbal pointing information in combination with knowledge of the relative location of locations on the ground Tag Pilot is capable of showing the user where in the live video feed a designated location or object is. This feature works both ways: camera to map and map to camera. See something of interest in the video feed? Tap and hold the location to see where it is on it the map. Know where you are heading already? Tap and hold on the map to drop a tag which can been seen in the FPV feed. The crosshairs in the center of the video feed can be seen as a crosshairs on the map with a coordinate readout. The area that the camera can see is shown as a green shape that highlights the visible area on the map. These capabilities are fully new to the consumer drone world and will find all sorts of future applications. Flying without the pilot being able to see where they are going is hard. The human brain is used to thinking about things in the visible spectrum and when it is tasked to navigate using false color thermal images it can get confused quickly. Confusion is bad when a pilot is flying a $2,000 aircraft with a $14,000 camera attached to it. Tag Pilot is the first mobile app that is optimized for map-only navigation for use in low-light or thermal camera operation. This kind of operation is of the utmost importance to Search and Rescue and Wildfire response operators where visibility is frequently compromised and terrain is rugged. Thermal camera users are professional users with a specific job in mind. Find a missing person. Find the current fire line. Find missing livestock. Find a failed solar cell. Thermal cameras are used to find things that you can't do easily with the naked eye or standard camera. If the thermal signature is of a known temperature range and size Tag Pilot can help the pilot tag potential location candidates and inspect them safely and efficiently. With knowledge of the temperature of each pixel and some advanced spatial processing Tag Pilot will highlight areas on the map that have objects that match the defined profile. These locations can then be inspected further or saved and output via KML file to determine the best course of action. Each marker that is dropped on the map to define a location can be changed to one of eight colors and has a customizable title and description to go along with the location and elevation. These markers and automatically tagged thermal locations can be saved as a KML file and easily shared directly from Tag Pilot. Markers can be moved and deleted at will. Images and video can be reviewed and downloaded off the aircraft directly within the app as well. Placemarks defined in Google Earth can be opened via KML in Tag Pilot from an email and the markers are displayed in the Tag Pilot map and camera views. Placemarks, polygons and lines are all supported. KMZ Export for detail image reports that are viewable in Google Earth. In-Air distance and area measurements. Thermal Detect and Inspect automated flight mode. In-Field position and tag sharing for multi-user operations. Mobile device camera integration with Augmented Reality display of Tag Pilot markers. It seems that this is exactly the kind of data collection that Dr. Crutsinger is talking about for sUAS emergency response with limited ability to upload gigabytes upon gigabytes of photo data.